The Yukon golds were roasted perfectly at 400° for an hour, with duck fat, thyme, and sea salt. 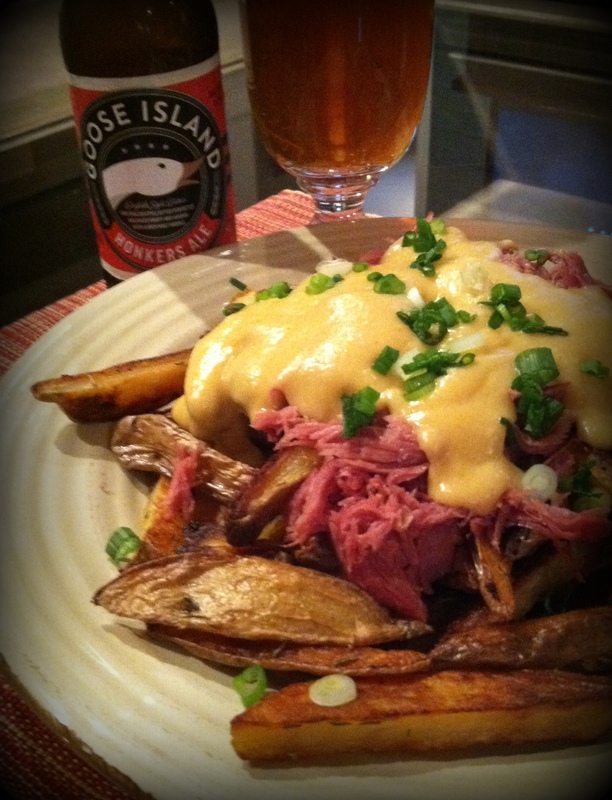 The smoked duck and beer cheese sauce combined for a richly decadent topping. You never know when inspiration will strike.